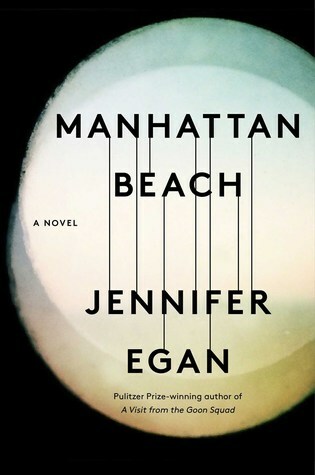 Today I'm featuring a current read, Manhattan Beach by Jennifer Egan. The excerpt shared is from the eBook copy I borrowed from the library. They'd driven all the way to Mr. Styles's house before Anna realized that her father was nervous. First the ride had distracted her, sailing along Ocean Parkway as if they were headed for Coney Island, although it was four days past Christmas and impossibly cold for the beach. Then the house itself: a palace of golden brick three stories high, windows all the way around, a rowdy flapping of green-and-yellow-striped awnings. It was the last house on the street, which dead-ended at the sea. 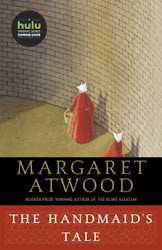 I am reading this novel for an upcoming book club meeting. The opening scene piqued my curiosity: a father and daughter out for a drive. Who is Mr. Styles, and why is the father nervous? I'm about half-way through the book now, and I'm thoroughly engaged, enjoying the story and its look at people from different backgrounds. The historical setting and interesting characters are sure to spark a lively book club discussion. This intrigues me as it did you. I'm always looking for books with lots to talk and think about. Hope your club discussion is a good one. This certainly sounds intriguing and I want to turn the page to find out a bit more. This has been on my TBR list since it was released, but still haven't read it. I think it sounds good. OK, I'm interested and trying to remember what I know about this one or have heard (without looking it up - ha!). Hope the discussion goes well! I had the same questions you did. I would keep reading to find out more. 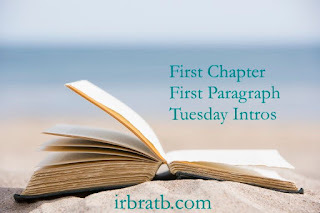 This week I am featuring A Knife in the Fog by Bradley Harper - a historical mystery from my review stack. Happy reading! I wanted to love this book, but found that the switches back and forth in time felt disruptive. Sometimes a character would be gone from the story so long that when he or she came back, I had to stop and think: who is this character? Many love it, though. and I enjoyed the opening. The sea? I'd keep reading! Thanks, Margo. It should be a good discussion because several of the members are from Brooklyn. It is a fascinating story, with a strong female character who learns to dive for the navy, back in a time when that wasn't the norm. I have many books like that, Diane. The reason this one is in play now is because my book club chose it. Thanks, Kay. One of the key ingredient in this story is a strong woman before her time. It grabbed me right away and is keeping my interest. The story is developing nicely. I hear you, Laurel-Rain. It takes some getting used to. Yes, Vicki, there is something about being by the sea...or on a beach. Thanks for stopping by, Sassy. Happy reading! I love a drive but I'm definitely curious about just who Mr. Styles is and why her dad is nervous!